The power forward has signed with Sydney Bears in the Australian Ice Hockey League (AIHL). He will join the team playing out of a 2000-seat rink while the sport in the UK goes into its recess. Gauthier isn’t the only Flyers’ player making the long journey Down Under. 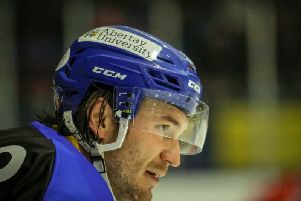 Paul Crowder has signed for city rivals, Sydney Ice Dogs, where he will team up with his younger brother, Tim, who iced with Coventry Blaze last season. The links between Flyers and ice hockey in Australia were forged last summer when Chad Smith joined the Bears in a move set up by former Fife player, Colin Downie, who is now the team’s goalie coach.